For a long time, basketball and American Football fans around the world have enjoyed the view of the “fan hands”, the large-sized pieces of merchandise usually shaped in the #1 hand sign and proudly sported in NBA and NFL arenas. 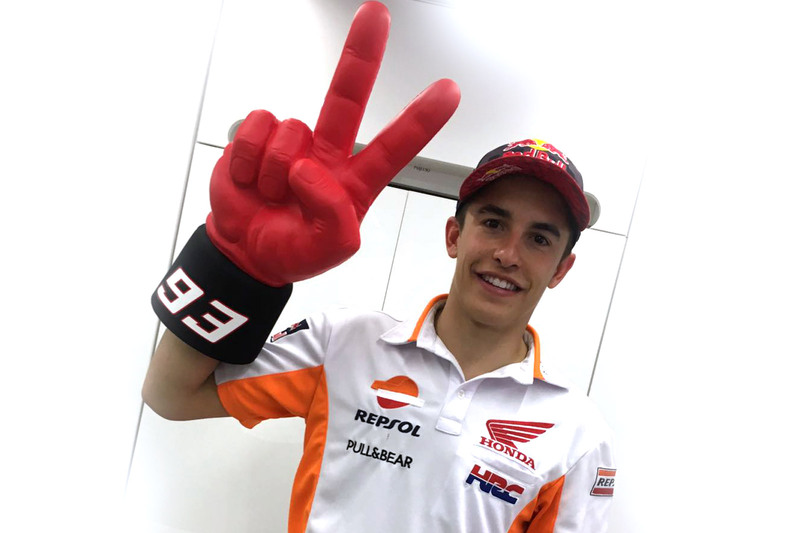 Now, British leading manufacturer and reseller Branded Distribution have turned up the volume on this classic item of merchandise, developing the Official Marc Marquez Celebration Hand, which will hit the stores around the globe this spring. The deal between Branded Distribution and the current MotoGP World Champion has been signed thanks to the consultancy of London sports marketing firm RTR Sports. 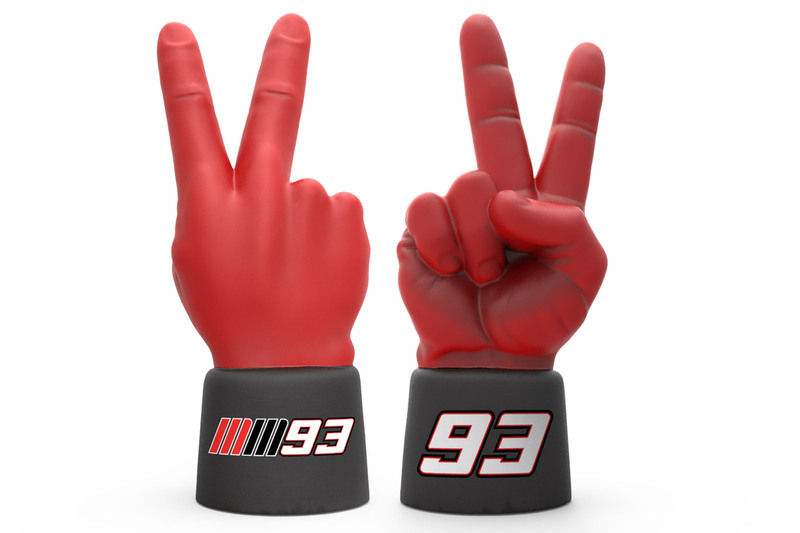 The Official Marc Marquez celebration hand -a high-quality, 3D foam masterpiece featuring the spaniard’s trademark logo and paint scheme- will be the first of its kind in the MotoGP industry and marks yet another step into Branded Distribution’s powerful entrance in the pinnacle of two-wheel racing following the production of the Official MotoGP portable charger.